Punk Zipper Double Lapel Leather Jacket, made of PU leather, shape and color last long. Punk Zipper Double Lapel Leather Jacket, made of PU leather, shape and color last long. We have two cool colors for you to choose, black and apricot. Lapel style on the leather jacket, personality and cool. Zipper design adds punk element to it. 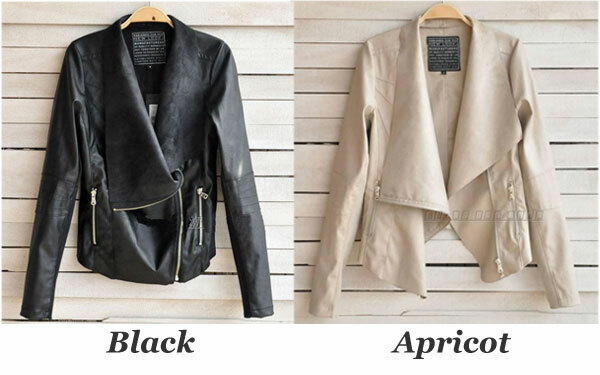 With this Punk Zipper Double Lapel Leather Jacket, you will look very cool and personality. Suitable for winter, spring and autumn. Wonderful coat. True to size and a great shade of black. Very pleased, in everyway, with this purchase. Thank you. 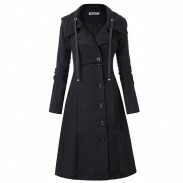 Really nice looking coat nice quality and feel.. would definitely recommend. Worth buying again.